On a sodden sixth stage at Tirreno-Adriatico 2013, the peloton arrived at the foot a climb at Sant’Elpidio a Mare, and the unthinkable happened. After 300 metres at 18%, the road ramped up to 30% for another 50 metres, and one after another the world’s greatest cyclists got off their bikes and started pushing them up the hill. Yes, it turns out they are human after all. should know. October 2012 he tamed the 947-yard Rake ascent in Ramsbottom to lift the National Hill Climbing title at his first attempt. The secret to Pullar’s climbing success is his power-to-weight ratio. Pullar measures 5ft 9in and tips the scales at 64kg. If Pullar’s maximum sustainable (MS) power output is 400 watts, in the mountains he’ll deliver 6.25 watts per kilogramme (w/kg). Now, if Pullar went off the rails, developed a love for equine-blessed frozen foods and piled on 10kg, his power-to-weight ratio would drop to 5.4 watts per kilo, and his time would increase. ‘Roughly, a 1kg decrease in weight results in a 1% increase in speed,’ says legendary endurance coach Joe Friel. ‘So for a 10-minute climb at threshold – the maximum effort you can hold for an hour – the savings would be about six seconds.’ Which, in a race scenario, could mean the difference between glory and obscurity. That’s just the start. 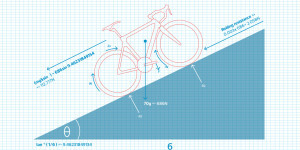 Technique, bike position… there’s much to master before you scale the heights with Contador-like ease. 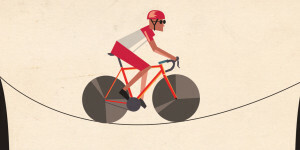 to crush the climb beneath the power of your pedal stroke, but more often a pragmatic approach is best. ‘Know yourself,’ says Chris Boardman, a three-time prologue winner during his Tour de France career. ‘If it’s a proper Alpine climb, you can’t go into the red. This ascending introspection manifests itself in your riding position – namely in or out of the saddle. Many riders begin the climb with optimum form: hands on the brake hoods or bar tops, sitting a little more upright to assist with breathing, tilting pelvis forwards to lengthen spine and encourage greater contraction of the buttocks and core, and maintaining relaxed arms and grip. Then heart rate rises, hand in hand with lactic acid, and it’s decision time: remain seated or stand? In or out, maintaining the optimum cadence is the aim. But what is ‘optimum’ creates divisions so deep that Henri Desgrange would turn in his grave. 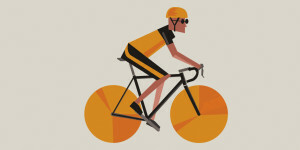 Forums forever debate whether low gear, high cadence trumps high gear, low cadence. Even the pros can’t make up their minds. Riders such as mountain legend Charly Gaul were capable of scorching bursts of pace in a low gear with spinning legs; six-time King of the Mountains Federico Bahamontes used higher gears, out of the saddle. Through curtains of sweat you reach the top of your climb, the view floods your senses and all the effort suddenly feels worthwhile. But the real fun is yet to come. Descending a mountain at speed on a bike is one of the greatest experiences known to man. Tales of hair-raising descents permeate the sport – their place cemented in cycling folklore usually by a crash or narrow miss – but it’s simpler than you think to dispel nerves. And it’ll save you seconds or even minutes if you focus on more than simply self-preservation. 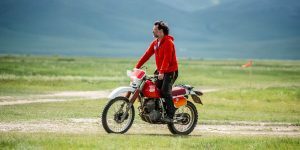 ‘A balanced position on the bike is vital,’ says Dennis. ‘Essentially this simply means you feel comfortable and haven’t loaded your weight either front or rear. This should lead you into a sustainable position on the drops.’ Once you’re nestled into the drops, your elbows should tuck in neatly, which should bring your chin toward the bar. 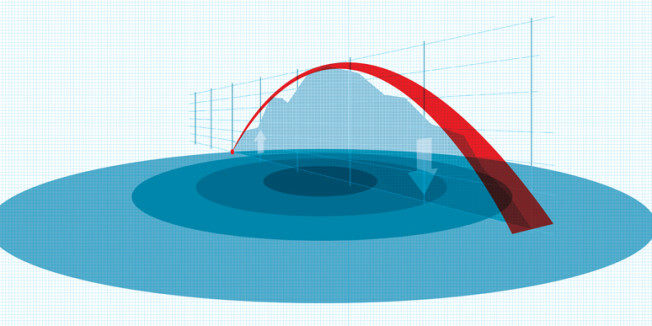 It’s common sense – boost aerodynamics and cut drag by presenting a minimal profile to the air. But problems occur when you become stiffer than your bike. Eyes looking up is key here. Lock them onto your front wheel and you’ll be cartwheeling down the Alps like a rolling stone. Instead, predominantly sight 50 to 100m in front of you. Not only will you spot any potholes in good time to avoid them, but your body tends to follow your eyes, so look at the line you want to be riding on. Of course, sometimes fate deals a hand that defies logic. In 2007, a dog that The Guardian later termed ‘the world’s hardest Labrador’ meandered across a descent, just in time to stop T-Mobile’s Marcus Burghardt in his tracks. Thankfully, both rider and canine returned to their feet/paws with only bruised pride. Once you’ve got the wheels, the set-up and the technique nailed, it only remains to find some sneaky tactics to beat your buddies on those long descents. Jean Robic, winner of the Tour de France in 1947, once told reporters that a helper handed him a bottle packed with lead at the peak of climbs for added mass on the descent. However, bike historians question his claim, as bravado came easy to the diminutive Frenchman. He once claimed he had a Fausto Coppi in each leg. 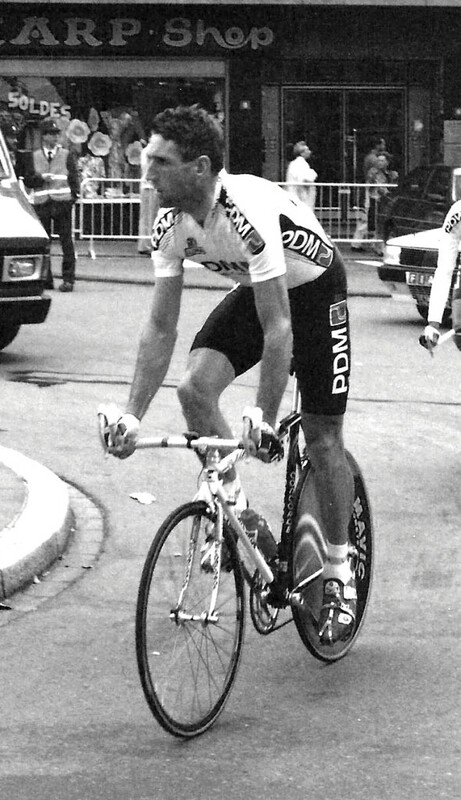 In 1984, Irishman Sean Kelly blitzed the Spring Classics, winning Paris-Roubaix and Liege-Bastogne–Liege. That year he racked up an incredible 33 wins. But speed aficionados will recall his flying descent on the 19th stage of the Tour de France as a season highlight, Kelly touching speeds of 124kmh on the drop from Col de Joux Plane to Morzine. 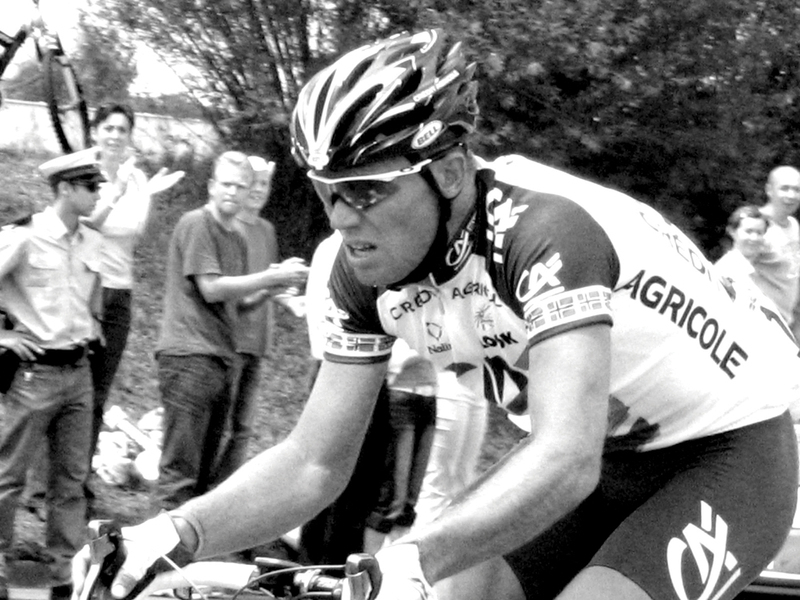 Italy’s Paolo Savoldelli entered the penultimate stage of the 2005 Giro with a 2m 09sec lead over two-time winner Gilberto Simoni. 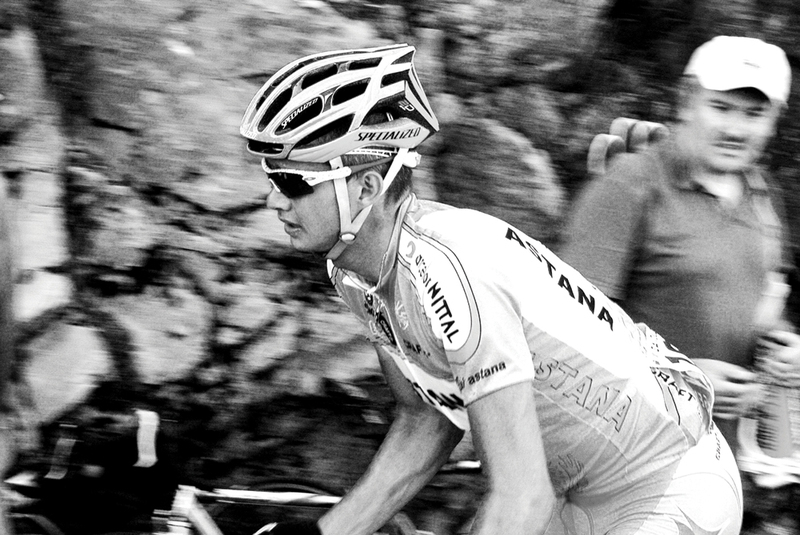 Trailing and isolated with 40km to go, his dreams of victory looked in tatters. Over the final summit of the day – the 2,178m Colle delle Finestre – Savoldelli lay 2m 23secs behind Simoni. Despite the descent averaging just 5.1% and 9.8km long, Savoldelli hit speeds of up to 100kmh to retain the maglia rosa and take the title by 28 seconds. The God of Thunder grabbed the yellow jersey on stage two of the Tour and surprised many by defying several hilly stages to remain in yellow for a week. But the Norwegian wasn’t finished. The 152km 13th stage from Pau to Lourdes saw him overtake long-time leader Jeremy Roy of France in the final 2km for the win, helped in no small part by clocking 111kmh on the descent of the Col d’Aubisque.